Pioneering work from across the province – from support for orphan-headed households in Malawi to peace-building in Zimbabwe – was highlighted as delegates made a reality of the Anglican Alliance mission to build the church’s mission to the poor and oppressed. Delegates from Botswana, Malawi, Zambia and Zimbabwe came together in a highly successful consultation led by the Archbishop of Central Africa, the Most Rev Albert Chama and spearheaded by provincial secretary Bishop William Muchombo and Ms Grace Phiri Mazala, national programmes director for the Zambia Anglican Council. They were joined by Ms Sally Keeble, Director of the Anglican Alliance, Ms Janette O’Neill, Chief Executive of USPG: Anglicans in World Mission, Rev Fedis Nyagah of Kenya and representatives of the Mothers’ Union head office in London. Closer co-ordination between those involved in development in the Church. 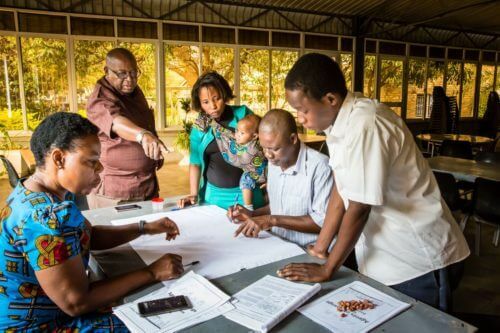 A holistic approach to development, with use of the Umoja technique which has already transformed many communities across Africa. The consultation received presentations from all dioceses of their work to tackle poverty and injustice. This included programmes in food security, access to water, economic empowerment, to support children affected by HIV and Aids, and to provide aids to mobility for people with disabilities. The recommendations are being taken forward by the provincial synod. 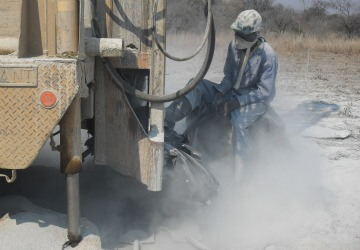 The picture on the home page shows a project to drill a borehole to improve the water supply for a rural community in the Zimbabwean diocese of Masvingo.